" (Engl. 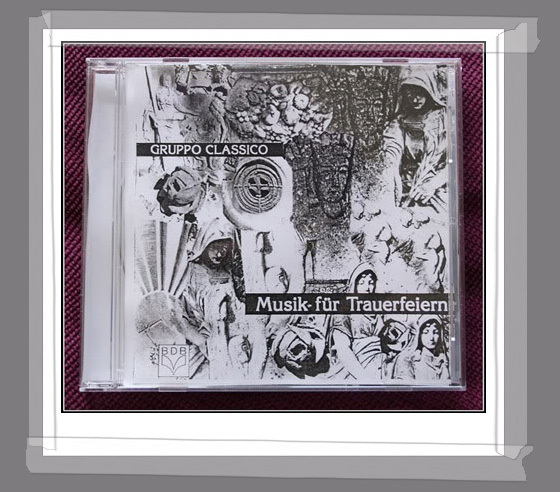 : Music for Funerals) by Gruppo Classico. 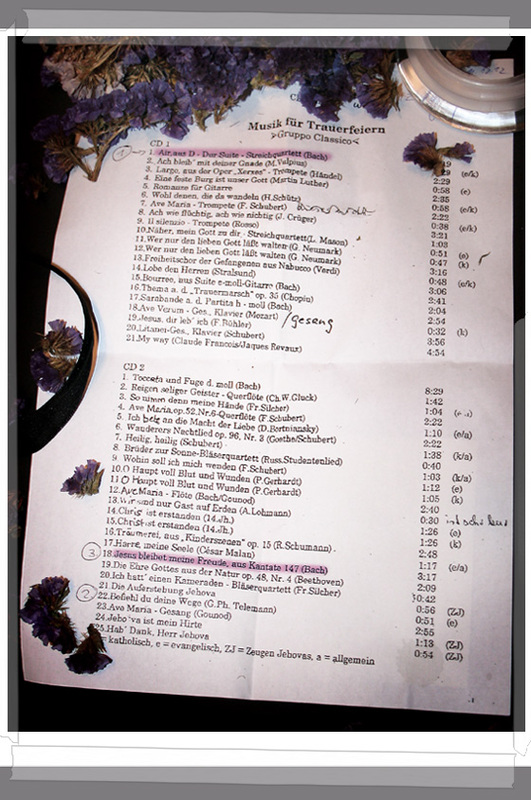 The second piece by Telemann, though instrumental, had a noticeably christian flavour, and I didn't like it at all. In fact, I started drifting off as it played, just like I had done on my mother's funeral (though for different reasons). The final piece turned out to be another one by Bach, though not in 6/4, as I initially thought, but in 3/4. On the way out of the chapel I kept counting to 6 though, probably because the track is rather fast and playful. interpretation of the same track (played on the original moog synthesizer, to be found on her seminal album "Switched-on Bach) would have created.